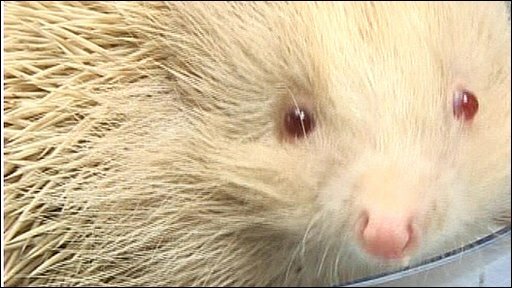 An albino hedgehog being cared for at St Tiggywinkles wildlife hospital in Buckinghamshire is being put on a diet because he is dangerously overweight. Snowball, as he has been nicknamed by staff, needs to lose two pounds to get down to a healthy weight. He is now being put through a rigorous exercise regime, as Claire Price reports.